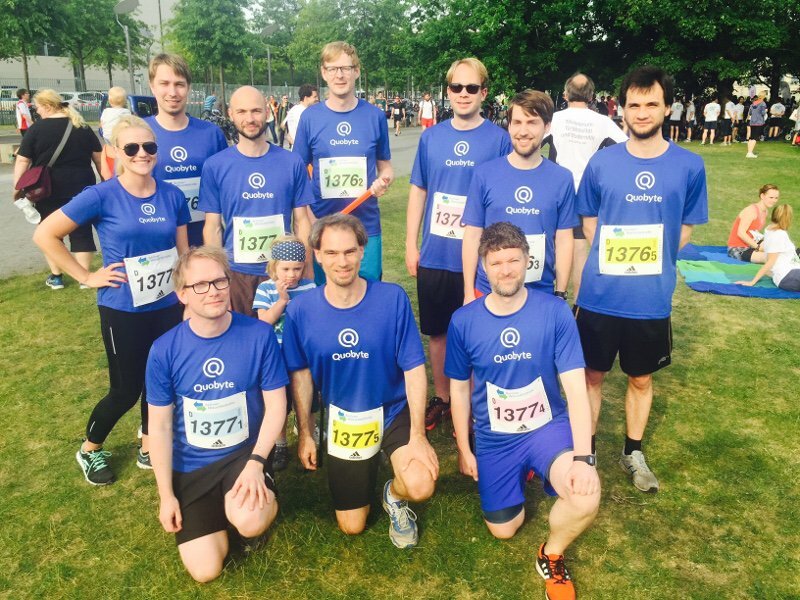 For a second time, the Quobyte team participated in the Berliner Wasserbetriebe 5x5km team relay race through Berlin’s Tiergarten. Last year’s debut turned out to be quite the success among team members – which you can tell by the fact that the running virus spread and resulted in a second team joining the fun. While team Quobyte South was comprised of mostly veteran runners (ok, it’s a bit of a stretch to call them that, but, hey, they started training some 4 weeks in advance), team Quobyte North had all the brave newbies. On a fine June 15 evening, we were welcomed by an enthusiastic atmosphere that spread all along the track. Companies propped up booths for their teams while others paved the park with picnic blankets occupied by a motley mix of runners. It’s not an exaggeration to call the event one of the best company outings of the year! At 6.30pm the starting signal rang and the 2.044 runners that evening got moving, among them our first two runners. Even though weather conditions weren’t ideal – with temperatures around 28 degrees Celsius –, they got off to a good start. Meanwhile, outside the track, the rest of the team was in high spirits with each runner excitedly awaiting their turn. A little over two hours later, both teams had made good of our motto: “Keep IT running”. Sebastian’s working on product marketing at Quobyte. He also does some coding for the web. 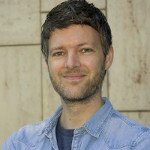 And he knows first-hand about split-brain problems, being a philosopher by training and a marketer/coder by trade.